"Schools have yet to take advantage of the potential of technology in the classroom to tackle the digital divide and give every student the skills they need in today’s connected world, according to the first OECD PISA assessment of digital skills. Even countries which have invested heavily in information and communication technologies (ICT) for education have seen no noticeable improvement in their performances in PISA results for reading, mathematics, or science." "Good teaching is not about where or what to click. Good teaching is about building quality relationships with students, helping students make connections to the real world, building students individual cognitive networks, and having our students enjoy learning for the sake of learning. Technology will never solve all the ills of education! Nor should it! So what is the biggest problem in EdTech? The biggest problem is that we have been teaching teachers and students how to use technology without giving them the why of technology. We have mistakenly believed that giving teachers and students new software or a new box will help fix education." I agree that part of the problem has been a lack of focus on why technology should be integrated. As the OECD Report alluded to, the problem isn’t the technology per say, but the lack of quality professional learning to support educators with effective implementation. There needs to be a greater focus on instructional design, digital pedagogical techniques, and the development of better assessments aligned to higher standards. I am proud to say that this is the foundation of our digital work at the International Center for Leadership in Education (ICLE). It is important to note that this dilemma is not only specific to technology, but innovation as well. 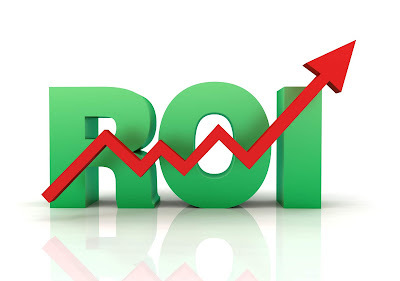 There has to be a concerted focus on the why, how, and evidence of results. In addition to professional learning, we also have to be more critical of what we see and hear when it comes to educational technology. For technology to be taken seriously as a tool to support and enhance teaching and learning then we must no longer accept assumptions and generalizations as to what it actually does. I for one want students empowered to own their learning, create artifacts, to demonstrate conceptual mastery, use their voice, be responsible in online spaces, and connect with the world in authentic ways. From an educator perspective I also want teachers and administrators to utilize technology and innovative practices to improve teaching, learning, and leadership. However, the principal in me also needs to balance this with clear results. This is a reality for every teacher and administrator that cannot be ignored. It is important to show how students apply what they have learned in relevant ways aligned to the highest levels of knowledge taxonomy. Telling just doesn’t cut it anymore. Data: Now let me start off by saying that this is only one indicator of success. The key is to be able to align various data sources to technology use or initiatives. Standardized test scores have the greatest ability to illustrate to stakeholders how technology is positively impacting learning and achievement. Please take a look at this study by the University of Buffalo. It shows how Lockport City School students in a 1:1 iPad environment experienced significant achievement gains. Read the entire piece as it explains why achievement increased. Other data sources include graduation rates, acceptances to four-year colleges, attendance rates, discipline referrals, and levels of authentic student engagement. In terms of engagement make sure that it is actually leading to learning. Understand though that not all data is good data and that we should not be obsessed with this. However, saying it does not have any importance is unrealistic. Observations/Evaluations: To really see if teaching, learning, and leadership are changing, administrators have to get in classrooms more. As principal my teachers had a combination of five of these each year (3 unannounced observations, mid-year evaluation, end of year evaluation). In addition to this, my entire leadership team and I conducted non-evaluative walk-throughs each day. We can't forget that building leaders can use just as much support as teachers. Administrators are in desperate need of more quality feedback in relation to their role in digital implementations. Artifacts: Examples of digital lessons, projects, assessments (formative, summative, rubrics, etc.) curriculum, and student work that aligns with higher standards. Blog posts were a great way for me to showcase examples of these artifacts. Here is an example of a teacher using Instagram and the standards-aligned rubric. My teachers aligned artifacts to their observations to support not only what happened during the observed lesson, but also what happened before and after. All of these artifacts were aligned to standards found in the McREL tool we used. By the end of the year, all observation comments and artifacts populated into each teacher’s end of year evaluation giving me a body of evidence that clearly showed whether teaching and learning were actually changing. Each teacher wound up with a portfolio. Portfolios: Educators (teachers and administrators) and students can demonstrate evidence of growth and improvement over time in relation to learning goals. Everyone seems to talk about portfolios quite often, but I rarely see examples aligned to student and professional standards. Technology can and will have an impact on learning if and only if there is a focus on substance. We must move past our infatuation with apps, tools, taglines, catchy sound bites, and broad claims that are not supported by either research or evidence of improvement. All educators should be able to answer the following question - How do you know that technology is impacting student learning and professional practice? Within this response should be examples of substance. Lately I have really been focused on what true leadership actually is. Many times when I come across the word leader I see the word follower attached. 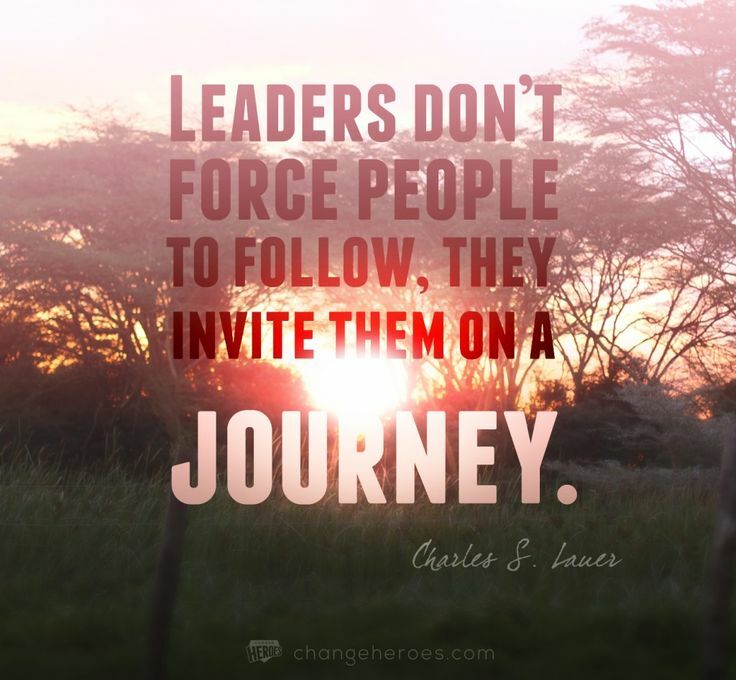 In my opinion, leadership is not about attracting others to follow. To me, at least, this conveys a sense of power, authority, and control that might serve well in the short term by getting others to fall into line through conformity, but it doesn't create the conditions necessary for sustaining change. I believe the definition and resulting perception of the term leader needs a makeover. 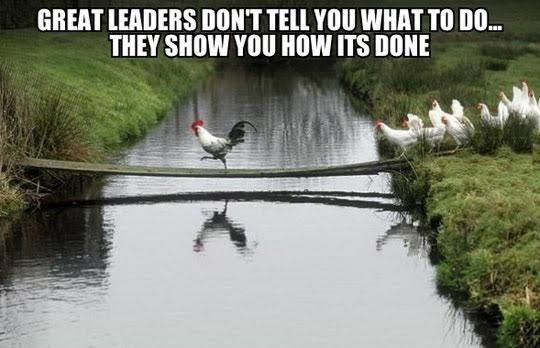 Great leaders don't tell people what to do, but instead take them to where they need to be. There is no agenda to create a harem of followers or disciples. True leaders know that their success is intimately tied to the work of the collective. One person doesn’t win a war, election, or football game. It is a team approach where each person in the organization knows that he or she has an important role to play. I can also say with certainty that one person doesn’t single handedly build a successful business. This same principle definitely applies to schools and districts. As I have written in the past, leadership is all about action, not position. This is my stab at an acronym for L.E.A.D.E.R. that better identifies the characteristics, attributes, and mindset to create a much better meaning for the word. What are your thoughts on this? Are there any words you would replace for the ones I included and if so why? The following is a guest post by Jill M. Hackett Ed.D. - Assistant Superintendent, Academic Services/School Accountability, North Kansas City Schools, Kansas City, MO. Rigor and Relevance can seem like abstract terms until you start to understand how schools and districts apply them in specific ways. Over the past five years, we North Kansas City School District restructured our purpose so that student-centered learning was the ultimate objective. We put Rigor and Relevance in the foreground, along with several other initiatives. By committing to systematic integration of the model, we transformed the culture, the conversation, as well as the results in our district. Making our classrooms truly student-centered and relevant – thereby making real rigor possible – has allowed us to shape common beliefs for student success. Here’s a little more about several key elements of our restructuring and their application of the Framework. NKCSD positioned this powerful and grounding guiding mindset as the backdrop for all of our strategies and decisions. This principle helped continually focus our attention on initiatives that would successfully improve our district. We wanted a viable, research-based tool that would allow for collaboration regardless of hierarchy or prior knowledge. We found it in the Rigor/ Relevance Framework. To implement its use, administrators learned how to coach teachers in using it to design learning opportunities as well as how to gauge teacher impact on student achievement. We spent a year training teams of eight teachers from each school to become resident Framework experts who were responsible for replicating professional learning modules on their campuses. Using an early release schedule once a week allowed teachers to meet in teams to further their exposure and understanding of the Framework. As the entire district really became familiar with the Framework, its four quadrants became part of our everyday thinking around instruction and planning. We also developed an awareness of what constituted all of the quadrants and could identify how various lessons were targeted to address learning in each distinct quadrant. Teachers realized that they needed to apply qualities of each quadrant – and know why and when to do so – in order to create relevant and authentic tasks. Every teacher and administrator needs a simple, accessible, and readily-applicable way to talk about how learning can, and needs to, prepare students for life beyond the classroom. 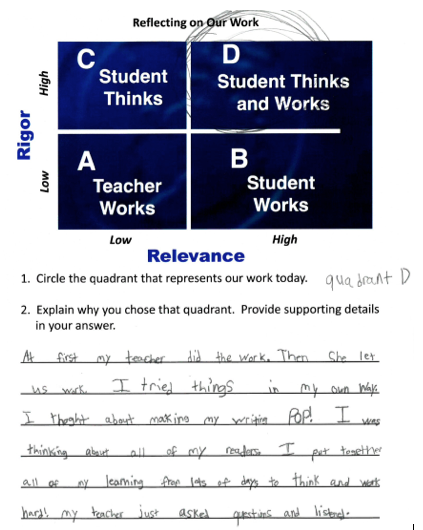 With just four quadrants, the Framework is a straightforward tool to consider and discuss student work and achievement. For teachers and administrators in the NKCSD, the Framework began to serve as the common language to describe exactly what it meant to ensure their students were college and career ready. An additional benefit of deep integration of the Framework into common language was the elevated levels of effectiveness of the PLTs (Professional Learning Teams). Together they shared experiences and observations of the most and least effective instructional approaches and were able to collaboratively determine what kinds of tasks would lead to increased student learning. As teachers began speaking the common language of the Framework, true, productive collaboration started to unfold. Numerous teachers grew more confident in their abilities, and mutually supportive relationships blossomed, which had a direct and noticeable impact on the quality of instruction and, hence, the student work emerging from the PLTs. We also wanted pertinent stakeholders, including students and families, to know that the Framework was the linchpin to instructional decisions and goals. Teachers explained the Framework to students and families, making it known that students were expected to, with time, develop complex, Quadrant D thinking skills and the ability to apply high-level thinking to real-world scenarios. All students and their families were able to see how the district believed in their capability and potential, in specific and identifiable terms. One of the most significant impacts from implementing the Framework came with how teachers provided feedback and built collective ownership of learning. Sharing the Framework with students helped demystify learning goals, giving students powerful ways to self-evaluate, contextualize progress, and articulate goals. One representation of the Framework in which a third grader analyzes how he spent his time as part of a writing block demonstrates real ownership of his learning. The Framework naturally led to conversations in which students and teachers could both analyze and discuss work produced relative to the four quadrants. Instead of the “right or wrong” paradigm, the conversation shifted to the merits of student work and how it could stretch to other quadrants. Students and teachers were able to think about student achievement as a ladder accessible to everyone. In 2011, North Kansas City Schools had an Annual Performance Report in which the district earned only 78.9% of total points possible, the equivalent of a C in anyone’s grade book. By the 2013-14 school year, and after three years of total district adoption of the Framework, the significant improvements in collegial conversation and student work were reflected in a rating which had jumped to 92.1%. In the 2014-15 school year, we earned a 97.9% rating. A highlight of the 2016 Model Schools Conference will be welcoming the North Kansas City School District leadership and hearing more about their implementation of the Rigor/Relevance Framework. Be sure to check them out on Twitter.